The story of the first Canadian gold coins begins in the mid-nineteenth century, during an era of sweeping social and technological change. Radio transmission was in its infancy, women throughout the Western world were fighting for the right to vote, and a host of advancements from automobiles to vacuum cleaners were about to change the daily life of the average North American. In Canada, the idea of a standard, national currency was just beginning to evolve. 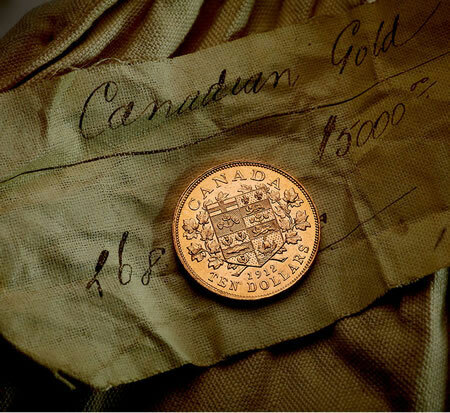 In 1853, Canada adopted the gold standard - a move that simplified trade, but also required that the country have sufficient gold reserves to back its currency. This standard helped develop a growing interest in minting gold at a Canadian mint. Meanwhile, Canadian miners lobbied for domestic refining capabilities because they were often forced to sell their gold to the United States, which cut their profits. The establishment of a Mint in British Columbia, the major gold producing region at the time, was proposed - but was roundly rejected by the Senate. 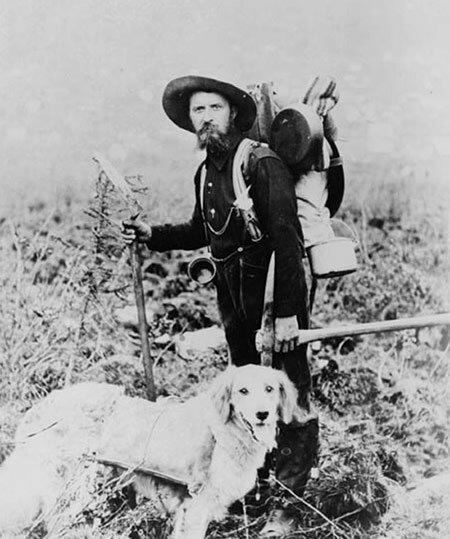 The idea was put on hold until the late 1890s, when a major gold rush in Yukon's Klondike region brought an awareness of gold mining to the forefront of Canadian consciousness, and fueled Canadian's dreams of mineral wealth. The romantic ideas of sacks filled with gold, piles of gold powder, masses of gold nuggets, and rags-to-riches stories took hold of public imagination, and popular support for a domestic mint in Canada took hold. Ten years after the idea of a Canadian mint was raised in the Senate, the concept was proposed in the House of Commons. The idea was given serious consideration, and after a lengthy series of negotiations with British authorities, the Ottawa Mint Act was passed in 1901. A branch of the British Royal Mint would be established in Canada, and it would be tasked with producing Canadian domestic coins as well as British sovereigns and Canadian gold coins. Although permission to create a Canadian branch of the Royal Mint was granted in 1901, it was not until 1908 that the Ottawa Branch opened on Sussex Drive. On January 2nd, 1908, Canada's ninth Governor General, Albert Henry George Grey, and his wife, Countess Alice Grey, stepped forward at the Royal Mint's official opening and struck Canada's first domestically produced coins a fifty-cent piece and a bronze cent in front of a group of Canada's financial and political leaders. The ceremony marked an important milestone in the advancement of Canada as a nation the beginning of a standard national currency. 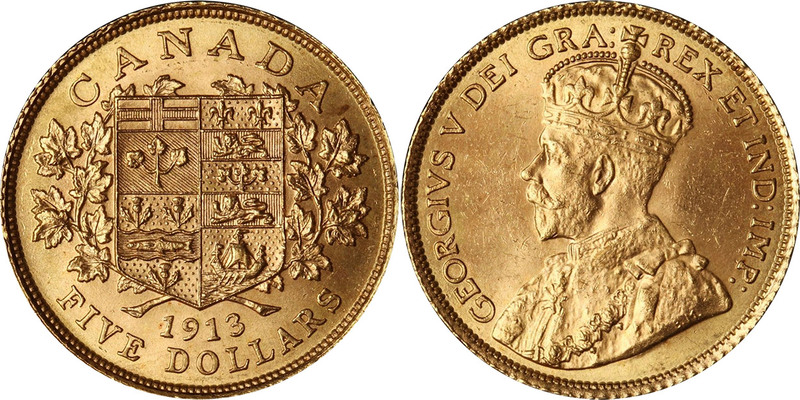 It took two years however before the Ottawa Branch received permission to strike gold coins featuring Canadian imagery on the $5 and $10 denominations between 1912 and 1914. While the idea of Canadian gold coins had been the inspiration behind the creation of the Mint, a full refinery had yet to be built. Construction of the refinery began a year later in 1909, and was completed in January 1911. Just when it seemed that the gold coins would be minted in 1911, delays resulting from the death of King Edward VII in 1910, and from indecision over the reverse design for the coins, shelved the gold coin initiative for yet another year. In 1912, the same year that the famed Titanic sank roughly 900 kilometers off the coast of Newfoundland, the Dominion Government ordered 8,000 five-dollar gold coins, and 8,000 10-dollar gold coins minted. By the end of that summer, $600,000 worth of gold coins had been circulated to Assistant-Receivers General across Canada. 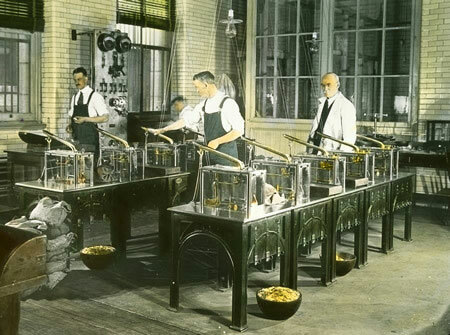 Production of the gold coins continued until 1914. These first gold coins struck by the Mint were Canadian in almost every aspect, from raw material to design. They were composed almost entirely of Canadian gold, much of it from the Klondike region in 1912, with the gold source shifting eastward to Ontario in 1913 and 1914. The coins featured the first symbol of Canada to ever appear on a gold coin. The design was the defacto Coat of Arms adopted in 1868 until Canada's official coat of arms was proclaimed by King George V in 1921. Canada's coat of arms, as it appeared in 1912 was composed of a maple bough surrounding a shield composed of the provincial symbols of the four provinces that joined Confederation in 1867 (Ontario, Qu�bec, Nova Scotia, and New Brunswick). Ontario was represented by St. George's Cross and maple leaves; Qu�bec by a pair of fleurs de lis accompanied by the British lion and maple leaves; Nova Scotia by salmon between Scottish thistles; and New Brunswick by the British lion and a sail-ship to represent the provinces prowess in ship building. The inscription "CANADA" was engraved above the shield, and the date "1912" and face value "FIVE DOLLARS" or "TEN DOLLARS" were engraved below the shield. The obverse featured the effigy of King George V. Both sides of the coin were framed with a raised beaded circle. Although the public was curious about the Canadian gold coins initially, a series of events that would change the course of world history would soon capture the attention of the nation, and ultimately seal the fate of the first Canadian gold coins. 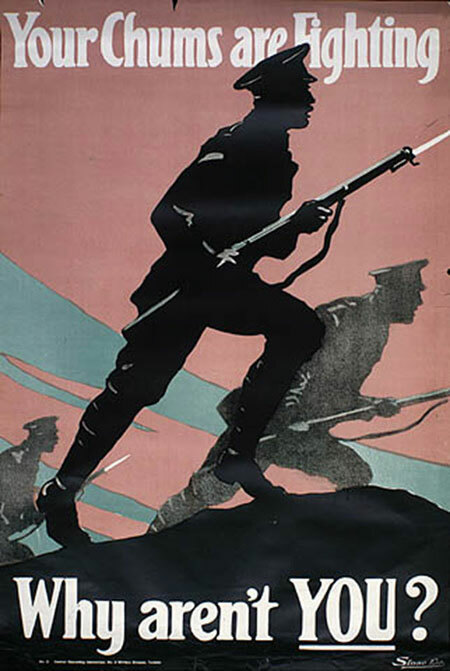 In 1914, just two years after the first coins were struck, the First World War began. In the years that followed, the Mint became a hub for the Empire's gold, refining and casting gold from as far afield as South Africa on the British government's behalf. In the same year that Canadians were filling out their attestation papers, the Mint was producing the last run of the gold circulation coins that would ever be created. The gold coin program was cancelled in favour of gold bars in 1915. As Canada sent its forces to fight with the Allies on the Western Front, the Government of Canada took tight hold of its gold reserves. Most of the coins would never reach the hands of Canadians; instead, they would be entrusted to the secure vaults of Canadian banks, the Department of Finance and, eventually, the Bank of Canada. The coins remained in cloth bags in the Bank of Canada's vaults for more than 75 years, fading from memory into the veiled treasuries of history until now.